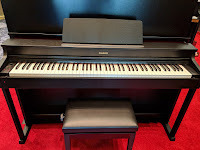 UPDATED REVIEW - January 10, 2019 - Casio AP470 Celviano Digital Piano - Recommended - The Casio piano model AP470 digital piano ($1499US internet discount price is offered in matte black, matte walnut brown, matte white) which replaces the previous model AP460. The AP460 was a very popular model for Casio because it offered many of the features and functions that piano shoppers are looking for, but at a lower price than their competition. The AP470 goes a few steps further in upgrading the piano sound chip, key action, pedaling, and speaker system along with adding some new, impressive interactive features and all of this at the same price as the previous model. Some times upgrades are not very noticeable in new models and sometimes they are. In this case as compared to the previous AP460, the upgrades make the piano playing experience even more enjoyable, and that's what really counts. 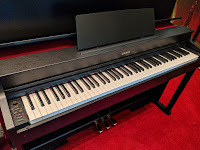 After personally playing this new model many times, here are some of the main reasons (below) why the new AP470 digital home piano is, in my opinion, one of the best digital pianos under $1500 that you can buy if you are looking for a very satisfying piano playing experience from beginner level all the way up to advanced playing levels along with having a beautifully designed furniture style cabinet. The piano key actions in Casio digital pianos are very consistent in being able to replicate a nicely balanced and piano weighted key movement with very good response under the fingers. I have always liked the way the keys move in terms of weight and speed and I know that many people at all skill levels agree with me. 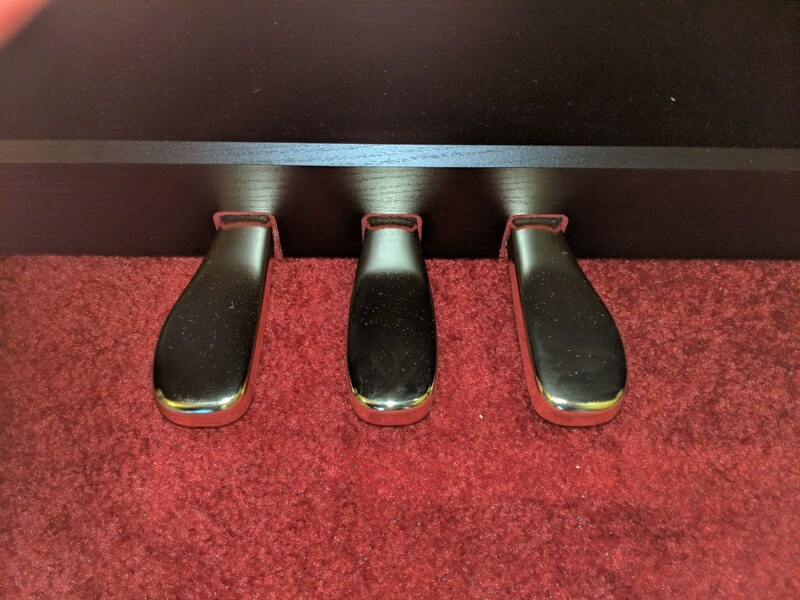 There are 3 key sensors under each key which allow for better key repetition recognition than some other digital pianos along with a more natural graded weight as opposed to brands that have keys that are either too light or much too firm. One of the new improvements on the AP470 is the new proprietary synthetic ebony and ivory keytops that are now smooth and more lifelike as compared to previous models that were highly textured. This is a welcome improvement to the way the key tops feel to the fingers and it also allows for the fingers to move even more quickly when playing faster notes than on previous models. So when it comes to the physical keys themselves along with the way they move, the AP470 is a pleasure to play and I believe people of all playing skill levels will like it very much. 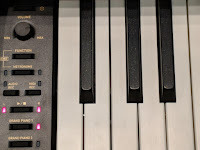 I will also say that all piano keys exhibit a bit of noise when the keys move and this is true for the Casio AP470, especially if the piano sound is at lower volumes. Real acoustic piano keys are a bit noisy when they move up & down, but because real pianos are always so loud and there is no volume control to play acoustic pianos quietly, the loud piano volume covers up the key noise and you won't hear it at all. This is the same thing that happens in digital pianos only digital pianos can be played very quietly because you can turn down the volume, so then you more easily hear the keys move, but that's fairly normal for digital pianos. The AP470 also has full 256-note (maximum) polyphony piano processing power so notes don't drop out when playing many notes or instruments at one time. With a fast action, 3-sensor responsive hammer weighted & graded key action, overall I believe the Casio key action in the AP470 is more natural than ever before and enjoyable to play, especially as compared to other top brands in this price range including Yamaha and Roland. The Casio AP470 has a new piano sound chip which is improved over the previous AP460 in a number of ways. They added a new custom made New York Steinway concert grand piano sound sample which is quite unique to find in a digital piano and definitely different than the more traditional Casio acoustic grand sample they have been using in their digital pianos. Not only is the New York Steinway piano reproduction a very good one with lots of expression, but the tonal consistency and dynamic tonal nuances of that sound is quite impressive and I believe those people who play at higher skill levels will really appreciate that. There are many more elements of a natural acoustic sound in the AP470 sound chip than can be found in many other brands and models of new digital pianos in this price range, especially as compared to the Yamaha Arius pianos in this same price range. But Yamaha has not upgraded their piano sound chip in a number of years so they need to come out with something new to compete with the new Casio Celviano pianos. The acoustic piano sounds have even more natural expression with a wider dynamic tonal range for an evenly balanced transitional tone from mellow to bright when playing any notes from low octaves to higher octaves. 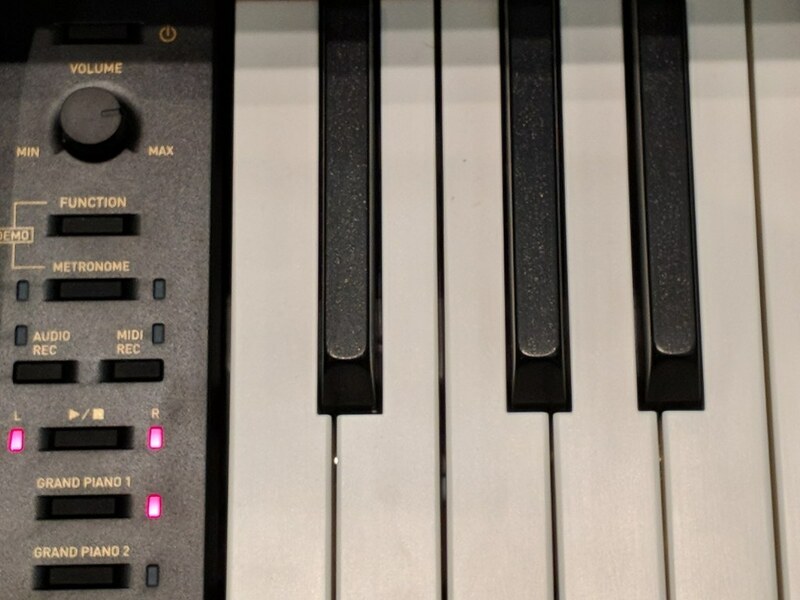 A lot of digital pianos have more compressed piano samples so that the tonal expression when playing different notes are not very good and have a narrow range of tone from mellow to bright as a person play lightly and then increases velocity and playing harder with more force. Tonal and volume expression is what music is all about and the musical expression you get from that is extremely important. The Casio AP470 is quite impressive in this way and goes way beyond most digital pianos under $2000 when it comes to playing with expression and putting out many more "musical colors" than digital pianos normally can do. 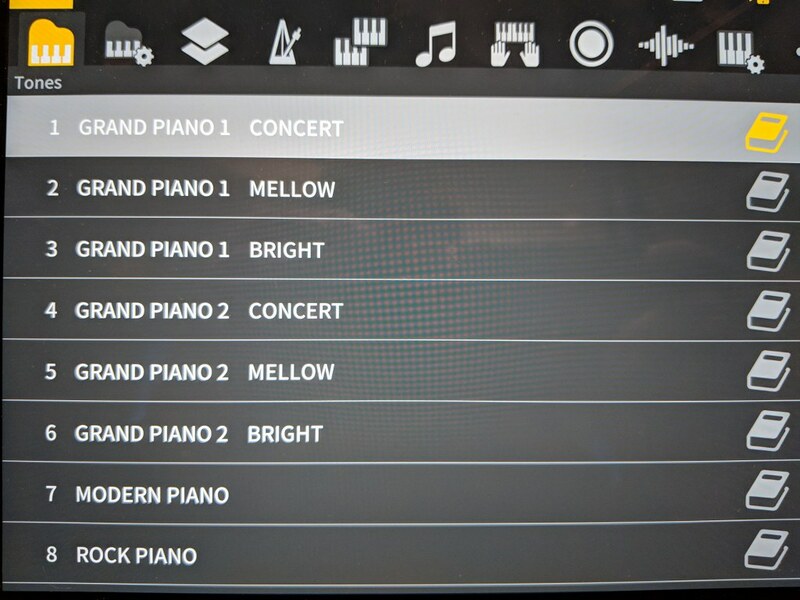 In the AP470 there are other piano and instrument sounds giving it a total of 22 sounds including 9 different acoustic piano sound variations, 4 different electric pianos, harpsichord, 2 string symphony variations, 4 organ sounds, and a string bass to be used on the lower part of the keyboard. But it's the piano sounds that most people focus on and want to play. Casio has 2 distinct sound samples which include the New York Steinway grand and their traditional European grand (which is quite nice and very expressive) along with variations of each of those sound samples giving you nine piano variations total as I mentioned. 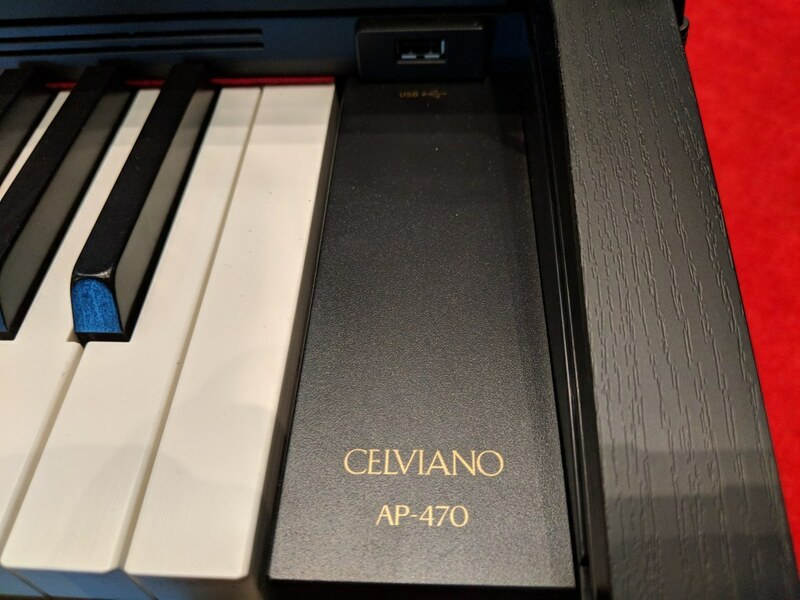 The other non-piano instrument sounds are actually very realistic and in my opinion all the sounds that the AP470 offers are more authentic than what Yamaha or Roland has to offer with those specific sounds in this price range. Another part of piano playing that is sometimes overlooked but is essential to any piano are the pedals. 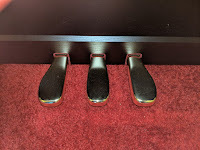 Although there are 3 pedals on a regular piano, it's the right damper-sustain pedal that is used 95% of the time by most people playing piano and the other two pedals are seldom used although the left soft pedal is used in playing piano some of the time depending what your piano playing skill level is and what song you are playing. When you press down the pedals then those pedals need to respond correctly in terms of how much weight from your foot it takes to press the pedal, how the pedals move, and on the right pedal, how is triggers the damper sustained tone. Also, when it comes to the right pedal and the sustained piano tone, when you hold down the pedal and play a piano sound in the middle of the keyboard, that piano sound should fade out on its own after a little while when you are holding down the pedal. On a regular piano it may take 15-20 seconds or more before the piano sound fades out when you hold down the sustain pedal. However, on many digital pianos, especially the "cheap" off-brands, that piano sound may fade out after only 4-6 seconds which makes the music sound choppy and not at all like it is supposed to sound. Unlike other brands and models or digital pianos from the past which had short decay times, the new AP470 has noticeably longer sustain pedal decay times for its acoustic piano sounds.This is due to a big increase in the power that comes from the new digital piano sound chip in the AP470 model. 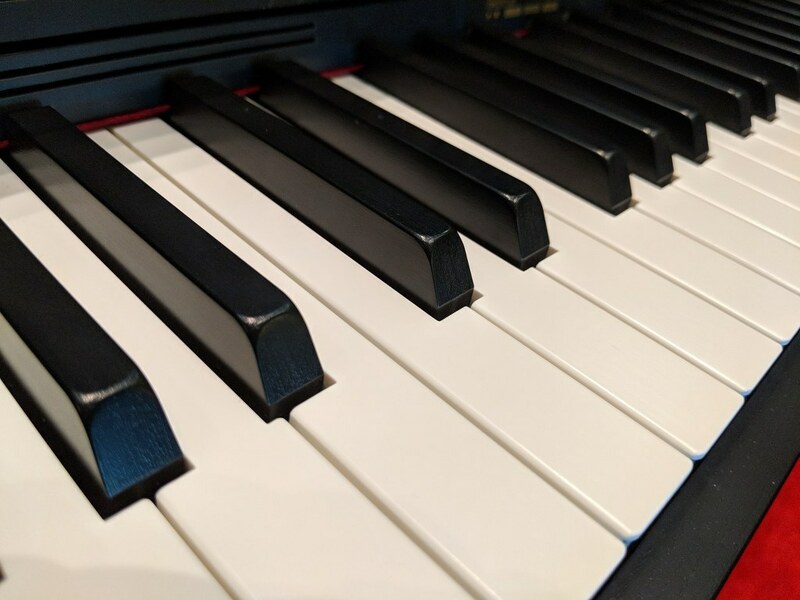 The increased piano sample memory is a significant improvement and really shows up especially when you play at higher skill levels where you will be expecting and needing a better performance from your piano. The Casio AP470 is the first model in the 400 series that has this improved performance and something that I was personally excited about. Now instead of the music coming out with less character and less resonance, the new AP470 brings out more tonal character through the new sustaining ability and allows for much better sound reproduction along with being able to apply better playing technique with your music so that the result is a more natural, more organic piano sound experience that is very satisfying for many people. In addition to that, the AP470 also has the "half-damper" feature allowing for a variable amount of pedal sustain depending upon how far down you press the damper-sustain pedal. So unlike some other brands & models out there which only have on/off sustain, the Casio AP470 has the realistic half-damper feature which is similar to the way real pianos do it. So when it comes to pedaling, sustain-decay time, variable sustain time (half-damper), and resonance, the AP470 really hits a home-run. Plus, the full length brass pedals on this model reproduces what real piano pedals feel like which is helpful in replicating the real piano playing experience. When it comes to extra features, the AP470 has no shortage of other things it can do. It has a key transpose function, touch response control for hard, normal, of soft, octave shift for instrument sounds, brilliance control to apply brighter or mellower tone to the piano sounds, a digital metronome with tempo & time signature control, layer & splitting any two sounds, chorus effect to add to electric piano sounds to give them more body and presence, relative volume control between layers or splits, and a duet mode allowing for two people (parent-student, teacher-student, siblings, etc) to play the same song with the same notes simultaneously by electronically splitting the 88 notes into two separate 44-note keyboards independent of each other, the Casio AP470 offers some cool features but these features are also typically found in other brands and models of name brand digital pianos in this price range. 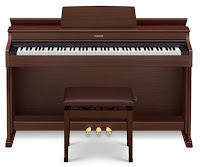 The unique proprietary features offered on this model include having a "Concert Play" music library incorporating 10 fully orchestrated popular classical songs in audio wav files built into the piano for playalong where the songs can be controlled for speed to slow it down without affecting the pitch of the song, part mute, separate volume control to balance the song playback with the live play volume of the piano, and 3-step learning in a way that makes even a pure beginner sound great. I have personally used this concert-play system and Casio did a great job of offering beautifully orchestrated music in a play-along learning format that you just do not get on other digital pianos, especially in this price range. Another exclusive feature is the Hall Simulator which allows the piano to resonate just like it would be heard in specific buildings or structures like a large Dutch Church, A old French Cathedral, or Concert Hall. These special "hall" effects give the piano sound a rich tonal quality to them like you would hear if a grand piano was playing in those actual buildings...big, reverberation, resonating tone that make the piano sounds on the AP470 bigger than they really are. Sometimes these type of effects really add "presence" to the piano sound and other times they are not necessary depending on the type of music you are playing. But either way, this feature can be useful and enjoyable to have. The AP470 also has two digital recorders; one being a 2-track MIDI recorder allowing for independent recording of left and right hand for practicing songs and then playing them back one hand at a time. This is a very useful technique for properly learning a piece of music and being able to actually listen back to your left and right hand part separately and see how it sounded and then also play both parts back simultaneously to hear how both parts sound together as they should be. This is a great feature and I use this type of recording method when teaching students how to recognize their mistakes while they were playing the lesson song. The 2nd recording feature is a 1-track audio wav file recording which allows you to record the song in one "take" or track with that song being recorded in CD quality as a audio wav file. Once this recording is done and you like it then you can save it on a USB flash drive that you can plug into the piano. You could then take that audio file and play it through your computer to hear how you sounded "live" or even make an audio MP3 file from it to play on your personal iPhone or iPad mobile or tablet device. You can also save a library of audio wav file songs that you recorded on the piano to a USB flash drive so that you can create a library of recorded songs for playback at a later date. This is also true of the 2-track MIDI recordings which can also be saved on the USB flash drive. 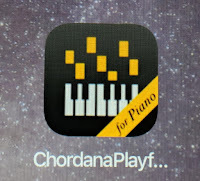 For 2018 Casio has done something quite special for their new digital pianos and designed their first "controller" app for digital tablet (iPad, etc) called Chordana Play so that you can control the functions and features of the AP470 through a USB connection from an intuitive user interface on your iPad color touch screen instead of needing to always rely on less intuitive controls on the piano itself. For many years Casio and other digital piano companies have stuffed all kinds of sounds and features into their digital pianos which required a lot of buttons, sliders and other hardware on the piano to operate correctly. 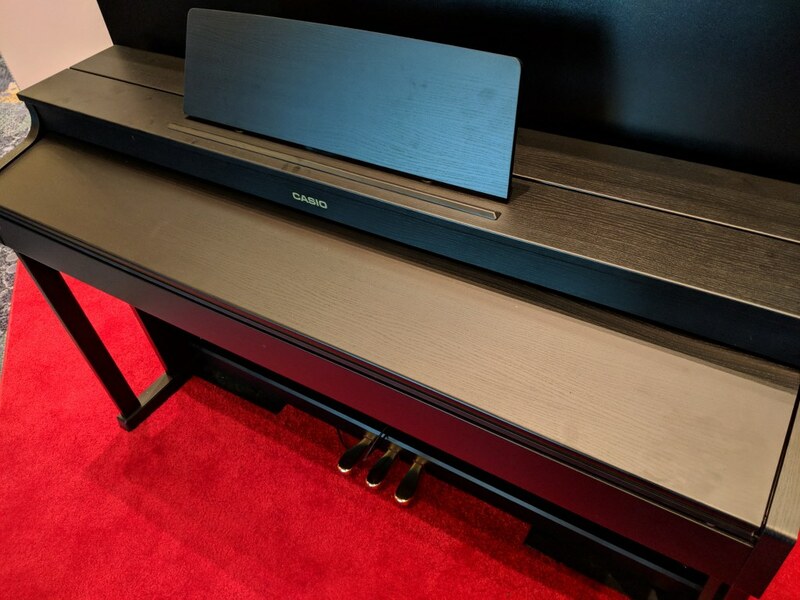 However, because of consumer demand, digital piano companies wanted to reduce the physical and electronic "clutter" on their digital pianos so that the cabinets would look more streamlined and minimalistic to give those cabinets a more natural piano look to them. 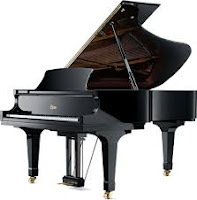 To accomplish this goal the manufacturers put many of their functions and features in a menu on the piano accessed by a single function button and pressing a specific key on the piano to trigger that function. Some other functions are accessed by pressing a button multiple times to get the function you were looking for. To really know what feature you were selecting you needed to sometimes go into the owners manual to find a chart for these features and look at that somewhat cryptic chart to see where the functions were located on the keys. 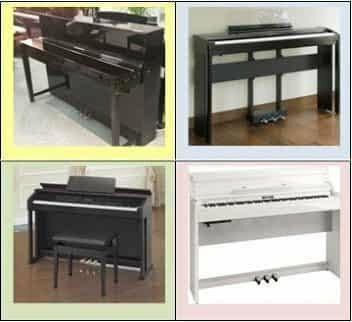 There are certain digital piano companies that still do this on many of their models and some shoppers don't care but many shoppers do care about getting a digital piano which is easier and more user friendly to operate and maintains a minimalist appearance. To balance out making the digital piano look nice along with having fewer buttons but still offering many cool, useful features that need to be easily accessed, a few different digital piano manufacturers have recently come out with proprietary "controller apps" designed to let you access and interact with the controls of the piano through your iPad tablet. The Casio company just came out with their first piano controller app and it's very cool. 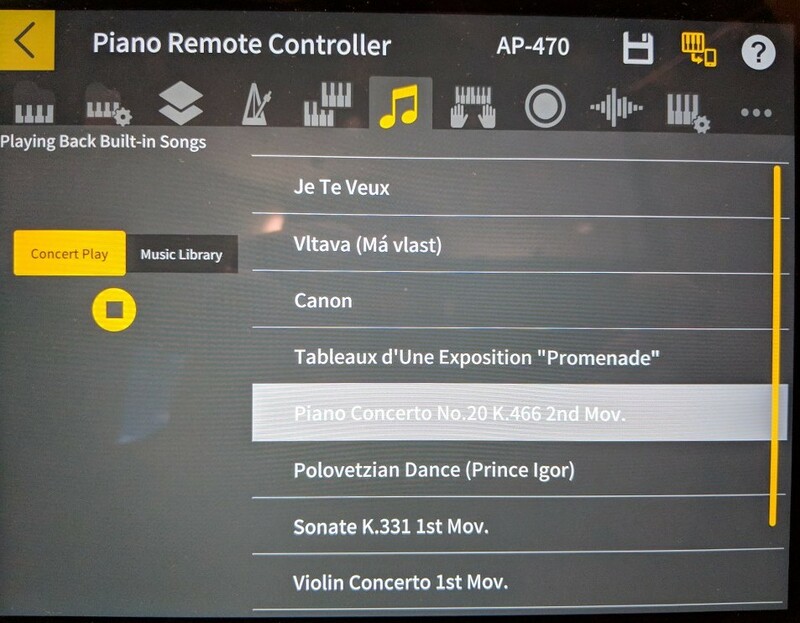 But if you don't have a digital tablet like an iPad then you can still certainly access many of the cool "extra" functions on the AP470 from the left side control panel on the piano with some nice easy to use buttons that are intuitive 😀. 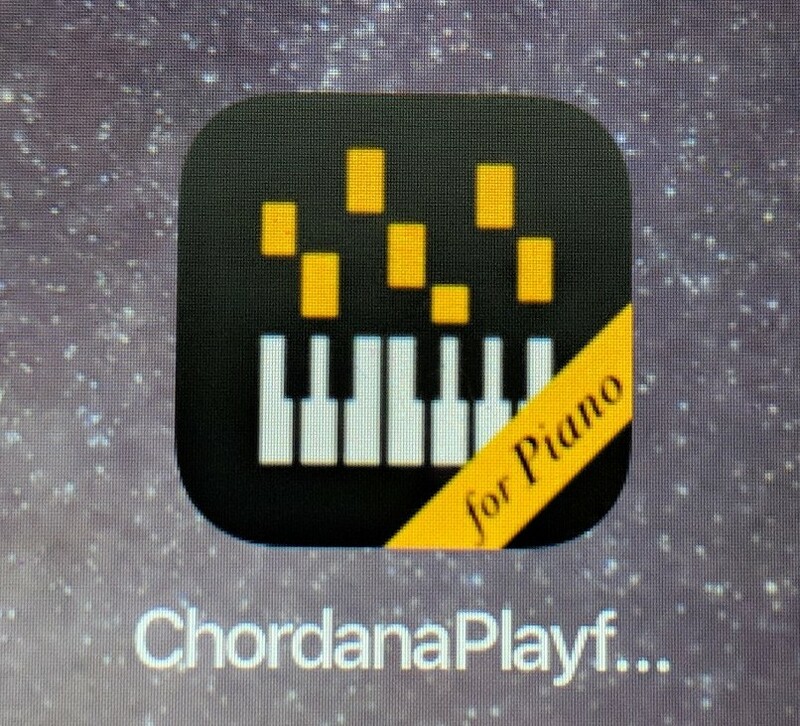 I have tried the Chordana Play app out in person on the AP470 and in my opinion Casio has really done a spectacular job designing this new multi-use controller app for tablet because not only does it offer very nicely laid out and engaging controls for the functions on the piano, but it also offers additional interactive technology including Music Score PDF files displaying music on an iPad for the internal song library in the piano. It also has a Piano Roll feature with follow-along songs for learning and music fun. For the AP470 you can select all the instrument sounds with the Chordana Play app, control the volumes of different set-ups, use the special 2-track recorder and talked about earlier and operate it much more easily, easily change transpose key, change touch sensitivity control, octave shift, select and play the music library and Concert-Play songs, and so much more. 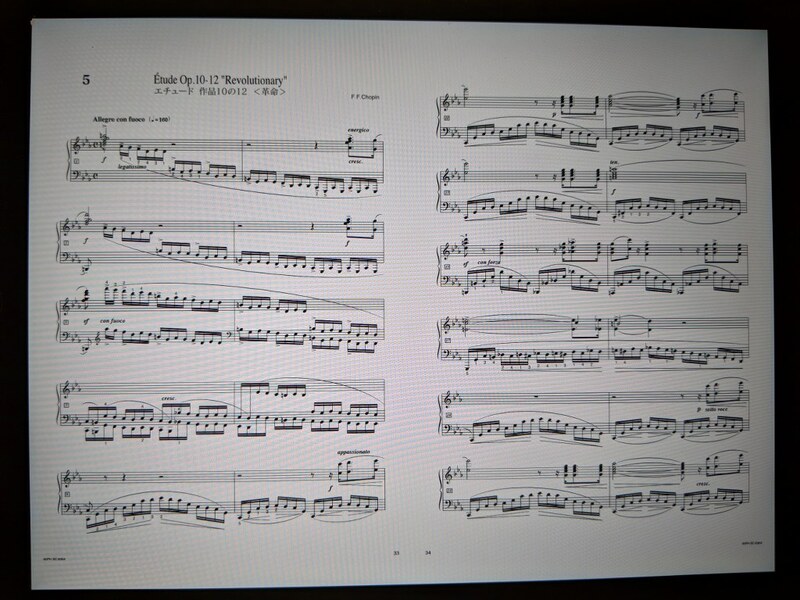 You can even bring up music notation to read on your tablet while playing the songs from it and there's so much more you can do as well...all from the large color touchscreen on your iPad. If you don't already have a digital tablet (ie: iPad), buying this new Casio AP470 is a very good excuse to go get one. You don't have to buy the latest greatest iPad (tablet) to use with the piano...even some slightly older models will work just fine as long as the operating system is brought up-to-date. But no matter how you slice and dice it, Casio have finally arrived into the future with having created a multi-function useful and intuitive app to much more easily control the functions on the AP470 along with being able to do many other fun things on the piano while interacting with and enjoying piano playing more than ever. With regard to the internal speaker system and internal sound projection, the AP470 really shines in this area based on my personal experience with it. First of all, it has stereo amplification of 40 watts going into 4 speakers which offers a good amount of power and the 4 speakers is more than most digital pianos in this price range which offer only 2 internal speakers . Beyond that, the AP470 offers a unique piano sound projection system by designing this piano with a top lid that can be propped up and kept open to more easily project the sound towards the player rather than have the sound contained and boxed into the piano where the speakers are only underneath the piano pointing down which is the case on all the other popular digital pianos under $1500 out there. With this speaker projection "open lid" feature, the piano sound has more presence coming out more clearly towards the player to enhance the listening experience. This kind of thing works well and puts the Casio AP470 above just about any other digital piano brand and model under $2000 as far as the internal speaker system goes. Casio also has a special new feature called "headphone mode" which allows for a headphone listening experience than other digital pianos do. As far as digital and audio connectivity is concerned, the AP470 has two 1/4" stereo headphone jacks on the left side front of the piano for playing in privacy with up to two people using headphones simultaneously. Also, one of those stereo headphone jacks can also be used to connect the piano to an external sound system if you are playing in a big venue, church, school, etc. When normally connecting any device through a headphone jack, the internal speakers are cutoff and muted. However, with the new AP470 there is a mode that can be set to turn the internal speakers back on so that the player can monitor their playing through the internal speakers while the external speakers are also still on. 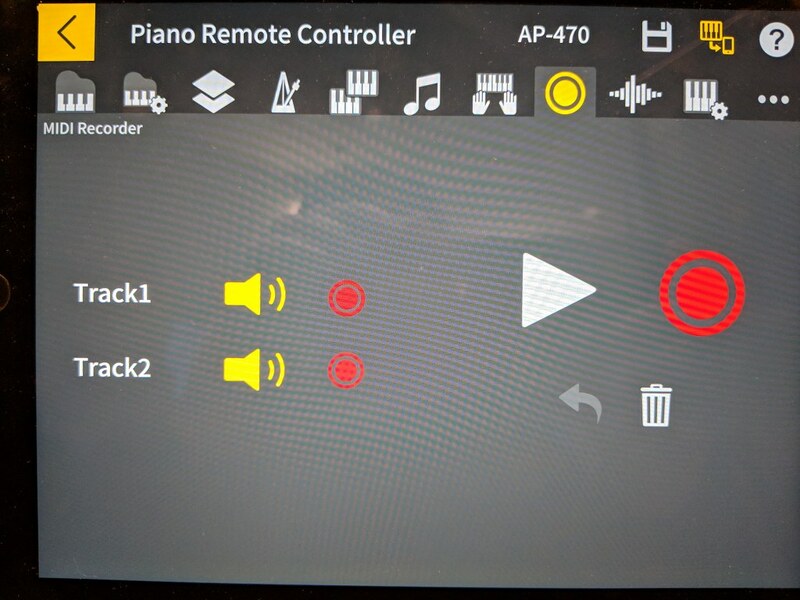 This is a nice feature for digital pianos that have no separate audio output jacks which is the case with the AP470. 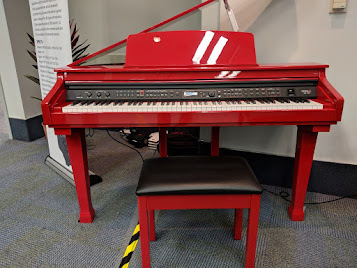 This piano also has a USB/MIDI out output jack to connect to external devices such as computers, tablets, etc to use interactive music programs and apps which are now widely available. There is also a built-in USB flashdrive input for saving both 1-track audio wav file and 2-track MIDI recordings that you can do on the piano and then storing them on the flashdrive for later playback from a custom song library you the user can create. 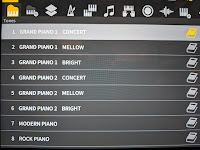 Along with this feature you can also download regular MIDI piano song files from the internet, load them into a flashdrive and then play them back on the piano so you can play along with those songs. This is a very useful way of learning new songs as well as having fun playing along with other music. 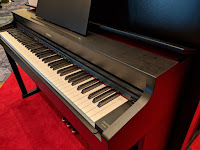 The cabinet design, structure, and appearance of this new AP470 piano definitely has the most "furniture" looking appearance of any digital piano under $1500 that I know of given that it has an attractive, sturdy cabinet offered in 3 distinct matte color finishes with front support legs for extra cabinet stability and a more formal look to it. Along with the lid that raises up, the AP470 has a full size music support rack, a built-in metal sliding key cover, and a high quality height adjustable matching padded bench (no one else in this price range offers a height adjustable padded bench which is an upgraded item), the AP470 is a "total package" with functions and features that the vast majority of piano shoppers seem to be looking for in the lower price range under $1500. Beyond the appearance and style of the cabinet, the Casio company offers the longest US factory warranty in the digital piano industry for new digital pianos under $1500 with a full 5 year parts & labor warranty for manufacturer defects along with in-home service. 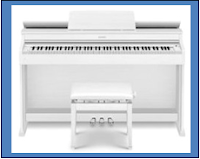 Although other digital piano companies have some good warranties, the maximum labor warranty in most other brands is 3 years whereas Casio offers 5 years which says to me that Casio must be confident that their pianos will last awhile and they are willing to stand behind their products. 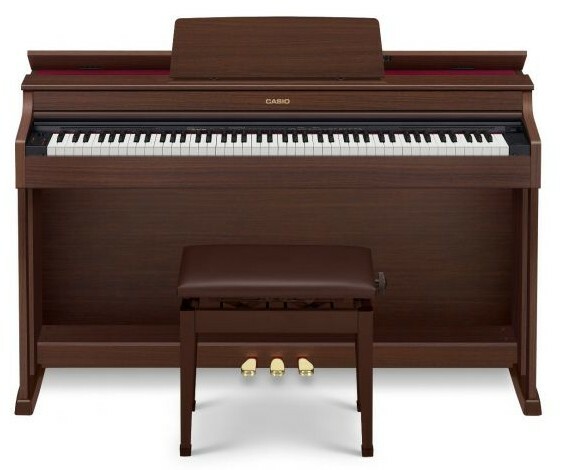 To sum it all up, given what the new Casio Celviano AP470 is all about and what it offers, I definitely recommend this model to any family who is wanting a piano with a big, full realistic acoustic piano sound going through a fairly powerful internal speaker system housed in an attractive, durable cabinet with functions and features that puts it in a class by itself for digital pianos under $1500. I also want to point out that this is the first time in the Celviano AP400 series that Casio has offered an attractive matte white cabinet finish. I have seen the white color in person and it really looks good. 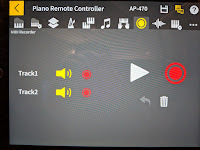 There is really only one thing I wish the AP470 had and that is Bluetooth audio and Bluetooth MIDI for wireless connectivity with external devices. 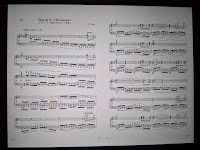 However, the MIDI portion can be taken care of by connecting a USB cable from the piano to the device so that is not a big issue. 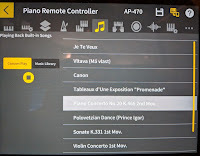 Nevertheless, I do like the idea of being able to remotely and wirelessly control music that can be played through the piano speaker system from a tablet such as an iPad and play iTunes or other audio music through the piano and not needing to connect by audio cable. As Bluetooth technology in digital pianos becomes more common then these limitations won't exist anymore. But for now in this AP470, what do you get in terms of the piano playing experience housed in a very attractive cabinet is definitely worth the price of admission. For its relatively low cost, the AP470 is clearly a winner:). Thank you for the review. How does the sound compare to the ap270 and the px870 in your experience? Both in terms of the piano sound realism and the listening experience? 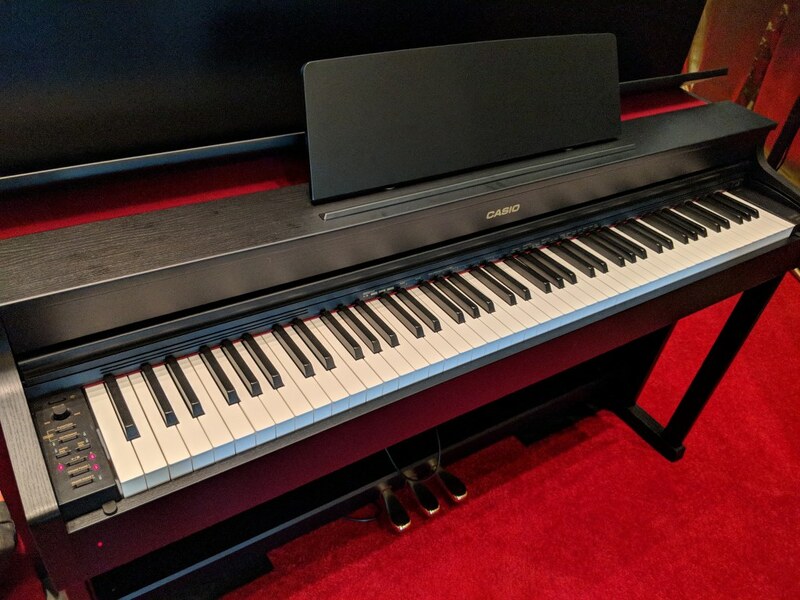 The AP470 internal sound system along with the new piano samples in it is significantly upgraded over any of the other Casio pianos below this new AP470 model. How does this compare to the AP650? Interested in functionality, sound quality and App compatibility? Hi Tim. Many thanks for the review. 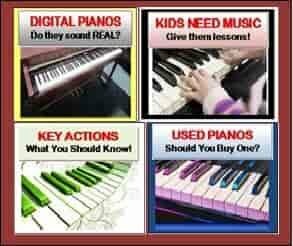 We are looking to get a piano for our daughter who has just started piano lessons. We are looking at the Casio AP470 and the Kawai KDP110. Which one is better? Thank you! 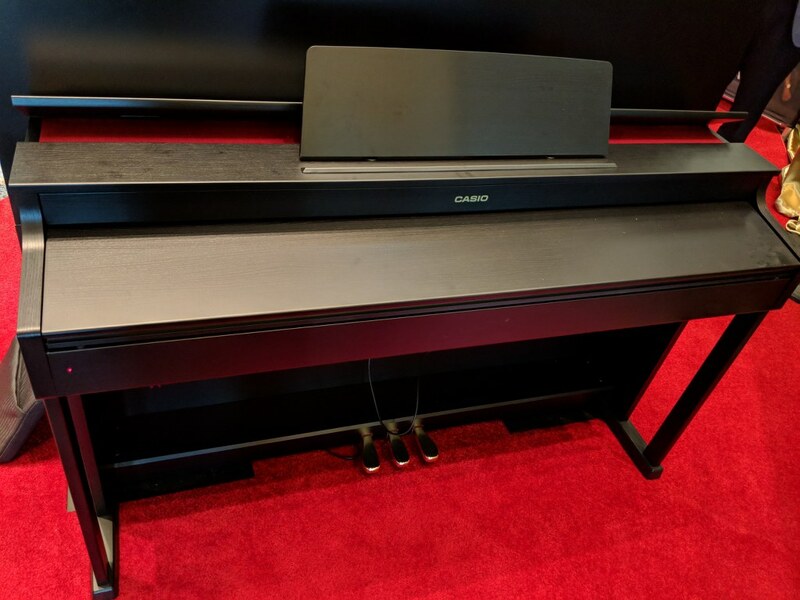 They are both impressive digital pianos for the money, but even though the Casio AP470 is more money than the Kawai, it would be worth the extra expense if you have the budget for it. 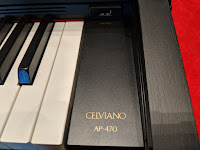 The AP470 is much easier to use, has a proprietary iOS app for iPad, etc to more intuitively use the piano, has a sound projection system with the top lid able to open up to let out the sound, has 4 speakers instead of 2 in the Kawai, has a richer piano tone because of its sampling process, has the ability to record 2-track piano practice for listening back to the student's left & right hand parts separately, has audio wav file recording for true recorded song files all of which can be saved on a USB flash drive, has height adjustable bench, 5 year complete warranty instead of 3 years on Kawai, Casio piano is available in 3 different cabinet finishes rather than just one on the Kawai. The Casio cabinet is sturdier with front support legs on it. Just depends on your budget. 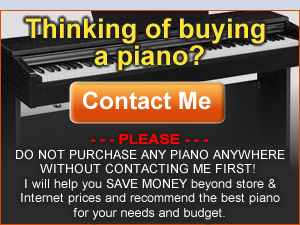 In either case I can help you save money beyond the internet discount prices so please contact me by email and I can explain more to you and answer more of your piano questions. Thanks Tim. Your reply is much appreciated. 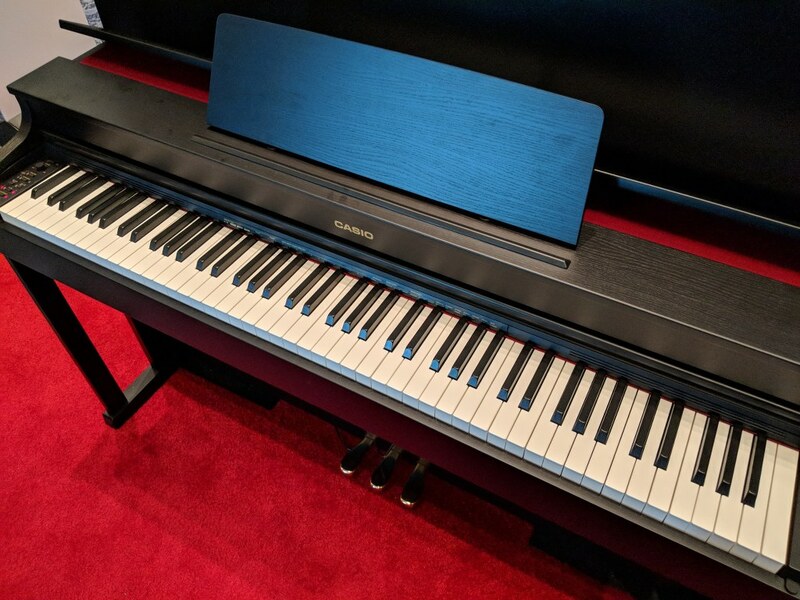 We've done more research and have now shortlisted two digital pianos now - the Korg G1 Air (after reading your review of course) and the Kawai CN27. We've tested the CN27 and liked the key action and sound. We're waiting for an opportunity to test the Korg G1 air. We're in the North of UK and it's hard to find a store near us to test it!!! Have you tested the CN27? Which one would you recommend? Hello! I'm currently deciding between Casio AP 470 and Korg C1 Air. Which one has better sound (both in headphones and through speakers)? Could you please help to identify the main differences between the AP 470 and PX 870? I'm trying to justify the extra $600 in spend and if it is worth it. My son is 7 and has been learning on a keyboard for the past 2 years, and I'm looking to upgrade as his skills are getting more advanced. Thank you for your assistance. 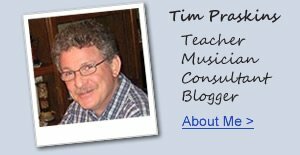 Hello Tim, thank you for all you do, I used your advice to buy a Casio in the $500 range in Canada when I was a poor student a few years ago. Now that I'm a poor worker in Europe I've moved up to the $1500 range and I'm about to go for this one. 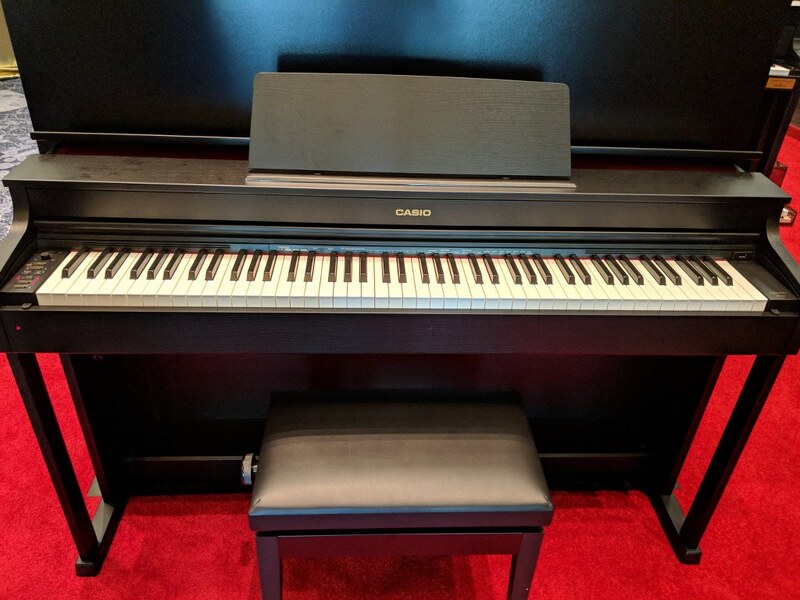 Do you think it's a good choice for someone that has been playing the family $5000 Kawai for 10 years but now needs the closest thing to a piano for a small appartment? I'd also like to improve my jazz by playing on top of youtube backing tracks, is this type of connectivity possible? Thanks again for your work!